Thanks to our wonderful Colorado Gives Day media sponsors, our statewide movement is receiving nearly $500,000 in donated print, online, on-air and billboard media support. These powerful partnerships help us reach Coloradans in nearly every part of the state and encourage them to donate to their favorite nonprofits on Colorado Gives Day. This year, we are pleased to welcome Mile High Outdoor Advertising to our family of Colorado Gives Day media sponsors. The company operates eight digital billboards across the state. 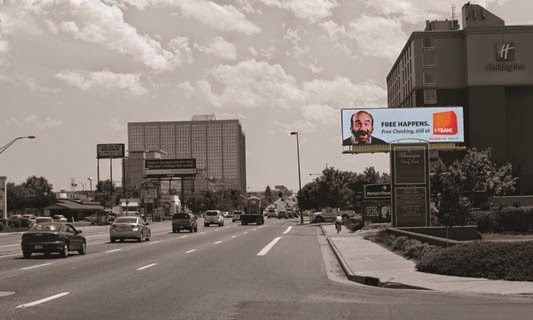 Right now, the Colorado Gives Day message is shining bright for motorists to see in five locations throughout the Denver metro area, in one location in Monument and in two locations in Grand Junction. On Colorado Gives Day, the billboards will run the donation ticker from Colorado Gives Day website to show how much has been raised. The billboards will update every six seconds!